The UFCW is continuing to build on the success of last year’s launch of the Labor Against Cancer initiative in the battle to end blood cancers. 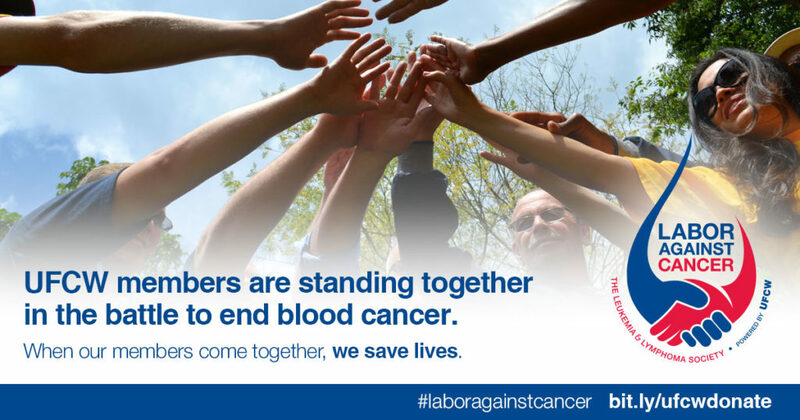 For more than 30 years, the UFCW has partnered with LLS to fund and support some of the world’s best and brightest blood cancer researchers to cure leukemia, lymphoma, Hodgkin’s disease and myeloma, and improve the quality of life for patients and their families. To date, we have raised over $86 million to help fund research that has advanced treatments such as chemotherapy, stem cell transplantation, and smart drugs, which have become the standard for many other cancers. 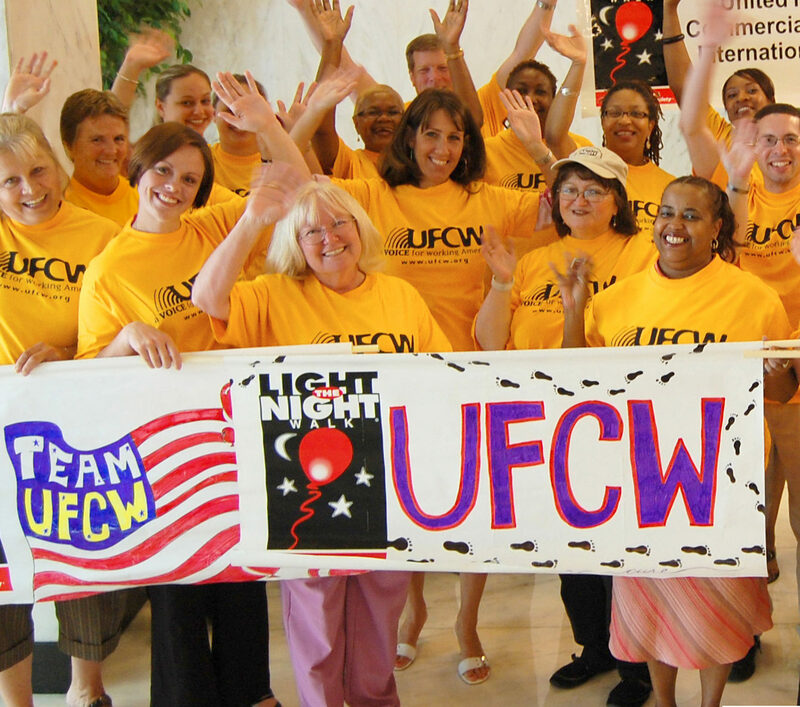 Donate today and stand with your fellow UFCW family in the battle to end blood cancers. This year, there are many opportunities to participate in Labor Against Cancer, starting with our annual member drive. Additionally, each $10 donor will receive a Labor Against Cancer wristband and each $20 donor will receive a union-made Labor Against Cancer pin. Together, we can show our brothers and sisters who are struggling with blood cancers that they are not alone and can have hope for the future.